Most music listeners have difficulty correctly understanding and remembering song lyrics. 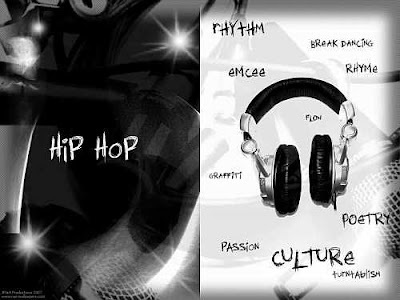 However, studies show that young adults can learn African-American English (AAE) vocabulary from listening to hip hop music. The study show a positive association between the number of hip-hop artists listened to by participants and AAE comprehension vocabulary scores. Participants to the study were also more likely to know a vocabulary item if the hip-hop artists they listen to use the word in their song lyrics. Together, these results suggest that young adults can acquire vocabulary through exposure to hip-hop music, a finding relevant for research on vocabulary acquisition, the construction of adolescent and adult identities, and the adoption of lexical innovations. According to a study published in the Dec. 21 issue of the online journal PLoS ONE, people who listen to hip hop music can learn new vocabulary even though the lyrics may be difficult to understand. Paula Chesley of the Department of Linguistics, University of Albeta, found that the number of hip-hop artists that a participant listened to was predictive of the participant's knowledge of words and phrases that are not common mainstream words and are used in hip-hop songs. Words such as "road dog" (friend) and "guap" (lots of money) are examples. Chesley is the author of the study. According to her, these effects were seen even when other factors, such as demographics, general pop culture knowledge, and overall musical preferences, were taken into account. Most work on vocabulary learning from media exposure has focused on infants or non-native speakers. Therefore, investigating how adolescents learn vocabulary from voluntary exposure to music reveals novel aspects of language learning, and takes into account the intention and motivation of the learner. Constructing a vocabulary can be a vital part of defining the speaker's identity, so further research into the mechanism of vocabulary development may continue to shed light on this important process. Citation: Chesley P (2011) You Know What It Is: Learning Words through Listening to Hip-Hop.